VTech hotel phones are aggressively expanding in the U.S. market. Offering unique features such as antibacterial plastic, cordless handset speakerphones and energy star qualified. 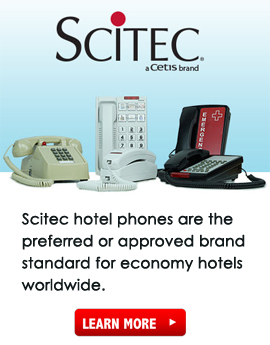 VTech wired and wireless phones meet the rigorous everyday use of the hotel guests. Purchase 36 of any one type of VTech hospitality telephone and receive free face plates, free programming and free shipping to your hotel destination. Contact one of our salesman today for a quote.